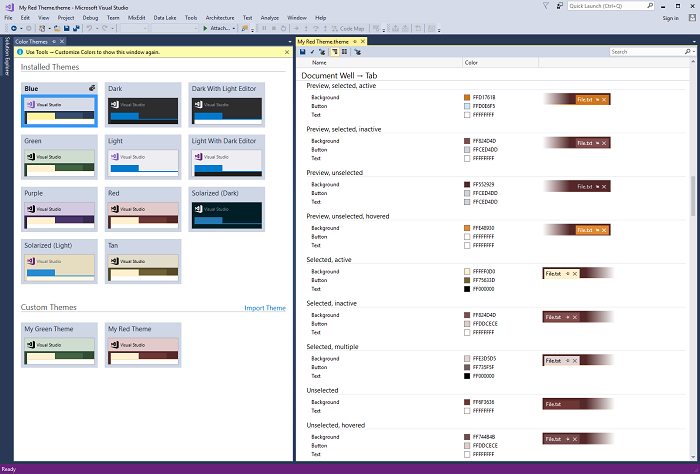 Allows users to customize the Visual Studio 2017 color palette. 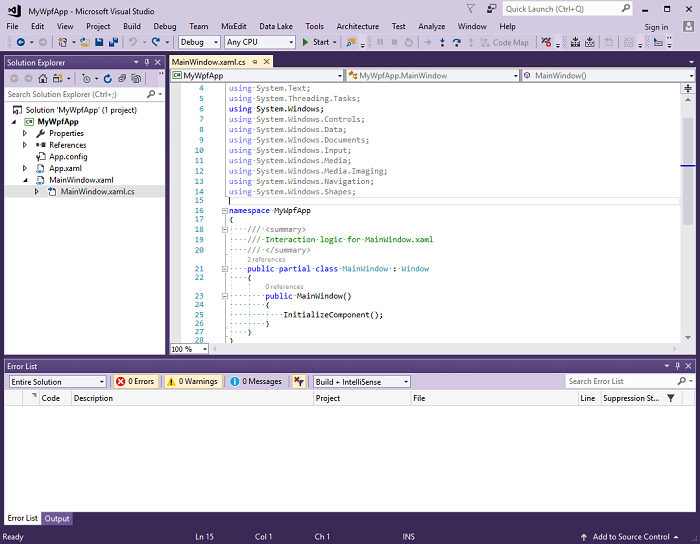 For Visual Studio 2019, use the updated extension. To download and install just the extended themes without the editor, check out the Color Themes Github Project. This Channel 9 video gives an in-depth description of how to use the Editor.